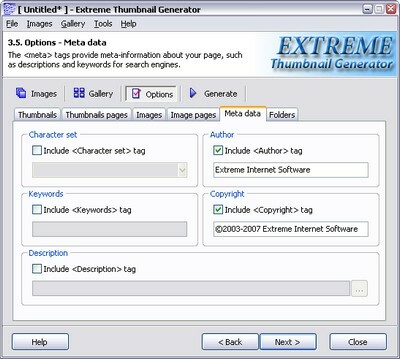 The meta-tags provide meta-information about your page, such as descriptions, keywords, copyright information, etc. for search engines (i.e. it is not displyed on the gallery pages). You can add meta-data to your gallery pages on the Options step, the Meta data tab.